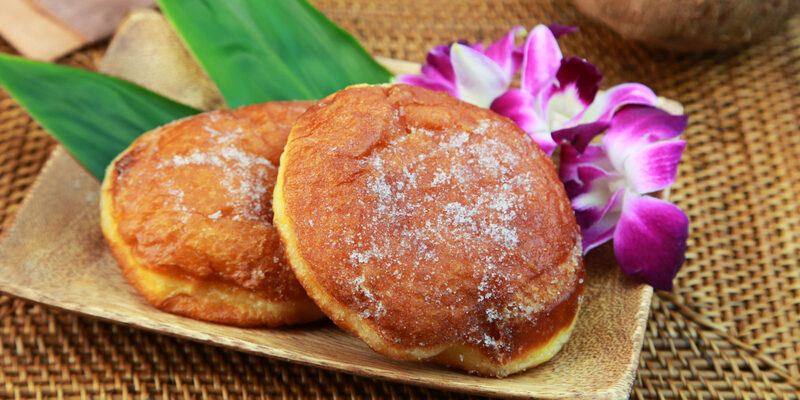 Malasadas, a fried-dough treat, have become a staple of Hawaiian cuisine. Here are the best places to enjoy this sweet snack on the Island of Hawai‘i. 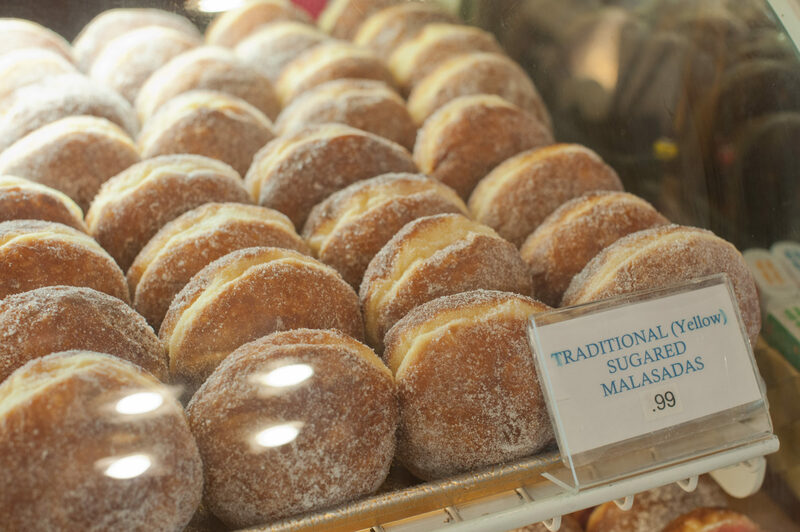 When I got my hands on my first malasada while visiting Hawai‘i Island, I was hooked. In fact, I made it a point to try as many malasadas as I possibly could while I was there. Here are some of the best spots on the island to find these incredibly tasty snacks. I enjoyed my inaugural malasada at Tex Drive In before going on a grueling hike on the Muliwai Trail. At this malasada mecca in Honokaa, they serve local food dubbed “ono Kine grindz.” Along with malasadas, the menu features Hawaiian dishes like Loco Moco (white rice topped with hamburger meat, a fried egg and gravy) and Spam™ and Katsu Musubi (grilled spam on top of white rice that’s wrapped with seaweed). I ordered a malasada filled with guava, but I also tried bites of my friends’ pastries, which were stuffed with Bavarian cream and mango. Tex Drive In offers other flavors, too, like apple, strawberry, pineapple, haupia (similar to coconut) and plain. No trip to Hawai’i Island is complete without a stop here. 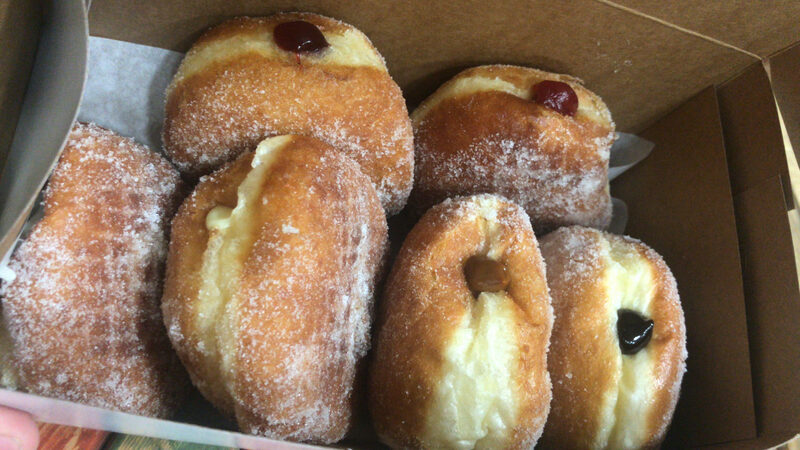 Located in a small blue trailer along the Mamalahoa Highway in Kamuela, Manuela Malasada Company offers a nice variety of its namesake pastries. 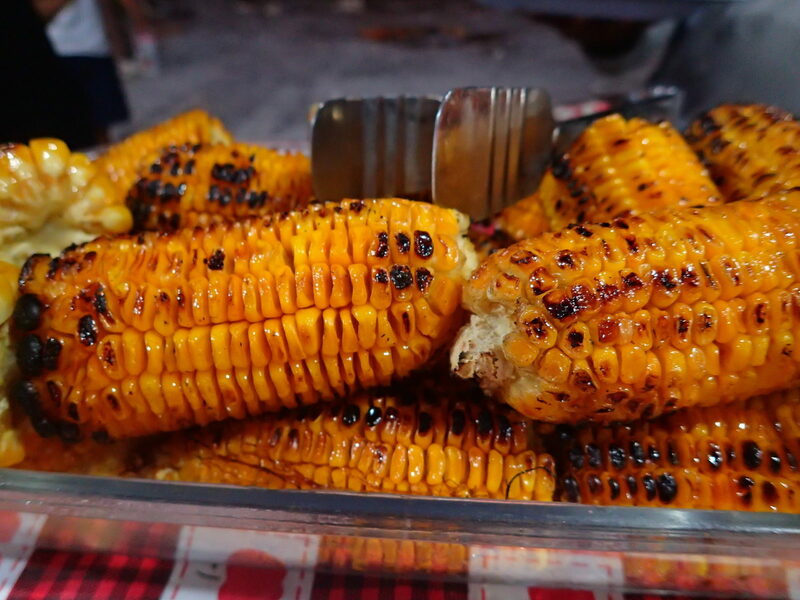 You can try fillings such as lilikoi (passion fruit) and guava, with your choice of regular sugar, cinnamon or li hing (a salty, dried plum powder) sprinkled on top. The Manuela Malasada Company also sells roasted corn, which goes surprisingly well with malasadas. Who knew? On the west side of the island, you’ll find Holy Donuts, where the baked goods are sacred and awe-inspiring. Not only are the donuts huge, they also feature unique flavors like s’mores and bubble gum. As for the malasadas, the menu changes regularly, so you never know which delicious fillings will be featured on any given day. Sometimes Holy Donuts also offers special deals—for example, buy a certain number of donuts and get free malasadas. Perfection. Renting a car is a must if you’re visiting Hawai‘i Island. The best way to explore is by driving around and stopping at various restaurants, shops and scenic spots to take in the breathtaking views. If you’re looking to spice up your malasadas, check out Big Rob’s Bakery in Captain Cook. The casual daytime eatery features an extensive menu of authentic Hawaiian dishes, breakfast staples and sandwiches. There’s also a large case of eclectic homemade pastries. 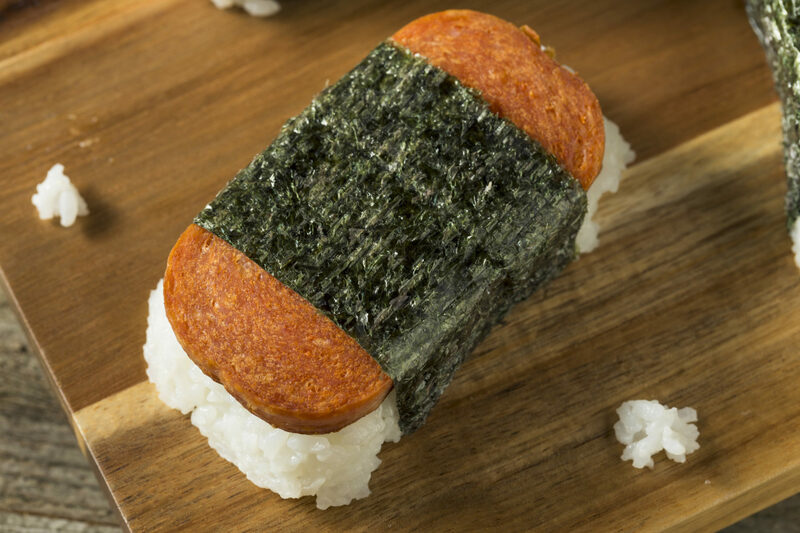 But the coolest — and most exclusive — item on the menu is The Hawaiian: a breakfast sandwich with egg, cheese, mayo and spam served on a malasada. Does it get any better than that?